This is our last post regarding Instruction set of 8051. In this post we will look at the Logical Instructions and they are pretty much easy to use. ANL: ANL is the Logical AND instruction. We have seen the AND operation in our previous posts. Now we will look how we make use this Instruction. Data of destination register/address data will be Logically AND with source data. 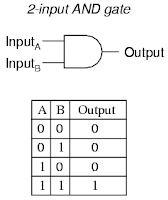 Do you remember the AND operation, the output will be 1 only when both the inputs are 1. Note, it is also an example for masking the higher nibble. i.e we are making the MSB first 4 bits to zero. We have seen OR operation in our previous post. 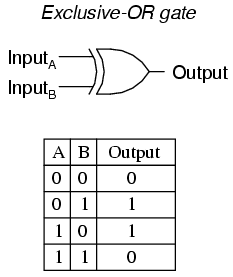 Do you remember, the output of OR will be 1 if any one of the input is 1. Note , it is also an example for merging(combining) i.e 01 and 20 =21. Rotate Right: The bits in the register A will be rotated right i.e MSB will be shifted to LSB one position. Note, we can only use register A for this purpose. 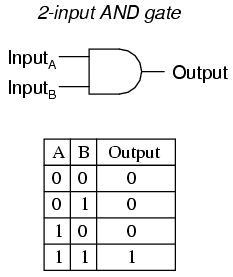 Rotate Left: The bits in the register A will be rotated left i.e LSB will be shifted to MSB one position. Its opposite to Rotate Right operation. The bits in the register A will be rotated right along with carry i.e Carry to MSB and MSB to LSB one position and LSB to Carry. The bits in the register A will be rotated left along with Carry. This instruction shifts the lower nibble to higher nibble and higher nibble to lower nibble. We have completed all important instructions of 8051, let us look at addressing modes of 8051 with few examples in our next post.